Second year student Angelica Poversky shares some of her experiences as a Bachelor of Media Studies (BMS) student, artist, and ambassador for the Arts & Culture District in her first two years at UBC. Initially, Angelica’s interest was piqued by the creative side of the BMS degree – specifically creative writing and film production. What made BMS unique for Angelica was the variety of media in the program’s curriculum, which offered her a chance to further develop her already creative energy from her work with spoken word poetry, visual art, and writing. At first nervous about the media theory dimensions of the program, Angelica reflects on how her perspective changed after taking ENGL 232: Approaches to Media Studies. The combination of fascinating content, and support from her instructor gave Angelica the motivation to further explore this new dimension of Media Studies. Continuing her academic ventures concerning the implications of media in society, Angelica took on a minor concentration in Political Science. Her Media Studies degree, combined with her Political Science minor, have come together in a multitude of ways, touching on topics such as globalization, liberal democracies, and the freedom of press and information. Angelica intends to explore these concepts further by taking part in the Go Global program with a month long trek to China this summer. There she hopes to study Chinese politics, and develop further reflection on how media operates in other countries and societies. Angelica was featured in a documentary produced by fellow BMS students entitled “Beyond Words”, which acknowledged her work as a spoken word artist and how she reflects on her surrounding socio-political landscape. Currently, Angelica is the Assistant Marketing Communications and Special Events under Deb Pickman in the Arts & Culture District on campus. She heard about the employment opportunity through a notification from the BMS staff, and it immediately caught her attention. Angelica maintains the Event Listings Calendar for the Arts & Culture District, and produces various arts and culture events for students around campus. Recently, she edited a video with Film Studies student Bruno Martin Del Campo Tena documenting the UBC Studio Sessions on campus, an event Angelica produced alongside The Musical Theatre troupe. As well, Angelica has been able to collaborate with fellow BMS Student Kelsey McDougall for The Green Flux Competition which includes “Art Interruptions” related to sustainability on campus. Along with her extensive involvement with campus arts and culture, Angelica has brought her passion for spoken word to UBC as a member and executive on the board for UBC Slam Poetry. 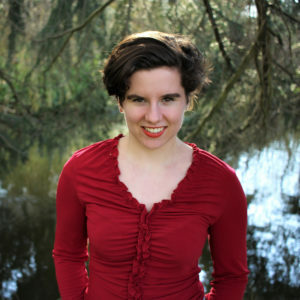 Included in Angelica’s future plans is a semester abroad in Germany at Freie Universität Berlin , while continuing her ongoing projects and performances. In and among her creative endeavors, Angelica continuously comes back to her studies in the BMS as a secure framework that allows her to work on her creative projects – some of which have been developed from her course work – and maintain a theoretical mindset. She will also be touring Canada this summer with her comedy troupe Tiny Tricycle Projects. To see more info, visit Angelica’s personal site here.